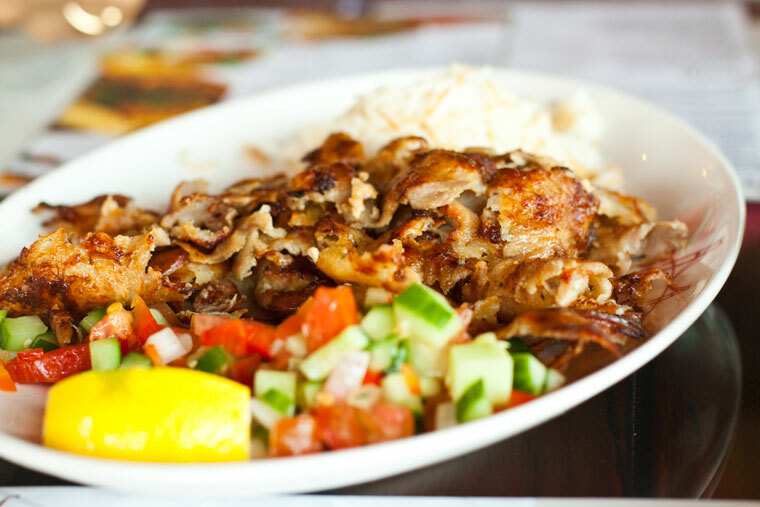 Have you tasted the Dӧner Kabab at Bosporus? I live in constant fear of the fact that I might just smack into one of those pillars on Jumeirah Beach Road one day. I can never drive down that strip between the Burj al Arab and the Jumeirah mosque without craning my neck out of the car window to read the restaurant signs. Jumeirah 1 was the Beverly Hills of Dubai back in the day, and despite the preponderance of cosmetic surgery clinics littered like juice shops down its well-groomed sidewalks, it still holds my fancy even till today. It’s that part of the city that lapped up the beachy sun as Old Dubai faded into traffic-congested oblivion, and as New Dubai decided to prissy up to look like some eclectic mix of Vegas and Houston and Singapore, with a patch of L.A. thrown in for good measure. It’s the newest edge of the old in this city, and the oldest tip of the new. Jumeirah has a distinct character of its own, even though it often feels like that overlooked middle child who misses out on the best bits of media attention because the paparazzi can’t get enough of the Marina. I think it’s shocking that no major publication has yet covered that new corner Turkish restaurant: Bosporus. Agreed this is no Cavalli and the price tag per head is shamefully under a 100 dirhams, but I’d vote that we give the imported celeb chefs a timeout and turn a spotlight to those crispy shavings of dӧner kabab that I ate for lunch yesterday. I’ve eaten many a dӧner kabab in Dubai over the past month [a consequence of a self-assignment that requires me to sample every dӧner kabab in the city. SUCH an arduous task, but I’m being a real willing trooper about it. ], and this was one of the crispiest, most well-marinated mountain of beefy dӧner slivers that I’ve encountered thus far. This was the product of electric meat-shaving precision, with the cook having used a mechanized razor to shear off the brownest, most charred bits of meat, leaving the faintest thread of fatty beef flesh on the underside. Mom and I pronounced the fatty curls of charred, salty calf meat so juicy and flavourful that they didn’t need any sauce. And then true to our Indian chutney-loving heritage, we promptly proceeded to drown them with squeezes of lemon and droplets of bottled Turkish garlic sauce anyway. Our second kabab dish was the kağıt kebabi, a ground lamb patty shrouded in an off-white flatbread that closely resembled the delicate Turkish yufka. The patty had been studded through and through with tomatoes, potentially peas and parsley, whole spices, and then bound together with beaten egg. The kabab accompaniments were minimal yet adequate: two thick wedges of tomato with skins punctuated by a hot grill and a pair of vibrant smoky chillies. If you're the man hoping to impress your date with a bite of grilled chilli, I'd say use her restroom run to knock the seeds out of the peppers before you valiantly toss them on your tongue. We appreciated all the little touches surrounding our meal: the fresh baked Turkish naan matted with white sesame and black nigella seeds, the cool sour Ayran (salty buttermilk that I would beg you order over an ordinary soda), and the two bottled sauces, one fiery red and the other pungent garlic. 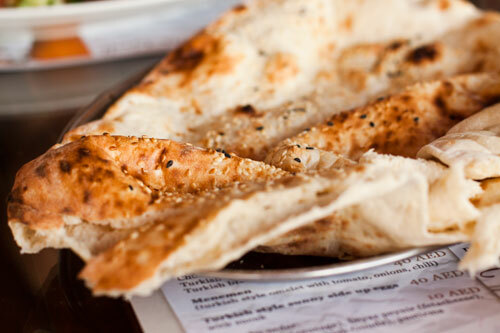 I don’t believe they serve the one-and-half foot long naan on the table unless you request for it, a real shame because bread right out of their wood-fired oven is an easy, instant way to win a customer in the first few minutes of a meal. Thankfully, they didn't charge us for the bread. 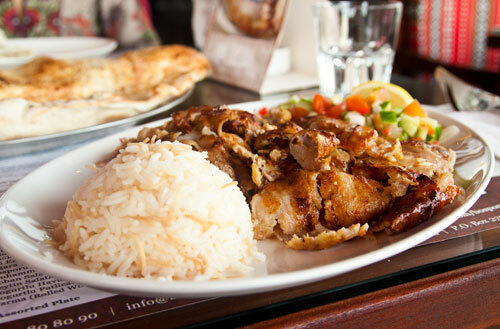 By no means should you walk away from this post with the conclusion that Bosporus is the best or most authentic Turkish eatery in town. It's definitely not the cheapest I've had in the city, nor does it have a roll of flattering diner reviews online. But to be fair, I’ve only sampled a grand total of two dishes over a quick lunch, so I’m far from declaring it a success. I’ll be back, because Bosporus has managed to grab my attention. The restaurant has cleverly cordoned off the pavement with hanging plastic sheets and tall floor air conditioners, so that you can sit outside even in the middle of the blistering afternoon heat without being fried to a crisp. The menu had some of my favourite Turkish dishes, Turkish breakfast platters, mezze, pides, lahmacuns and a heap of kababs that deserve to be devoured over multiple dedicated meals. Our royal robe-clad server was shockingly knowledgeable about the menu, proffering juicy bits of information like the fact that the dӧner is marinated in Germany itself before it gets shipped over to Dubai. All are excellent reasons warranting a second trip back to the restaurant. The media may not sail down to Bosporus any time soon but I'd say we don't wait for the professionals to get there. 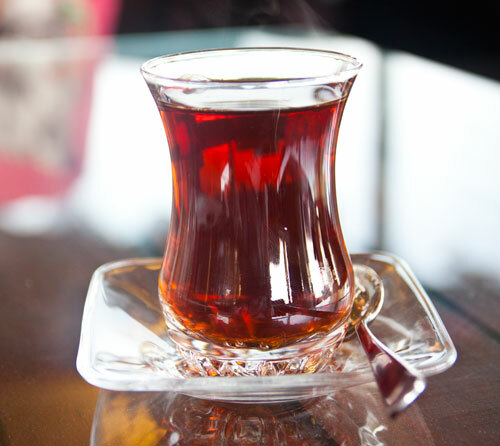 Try a kabab, a creamy dip, maybe a forkful of cheese kunefe, sip on some Turkish black tea with a complex twirl of sweet honeyed and strong bitter notes...and make your own judgement call about whether it's worth giving that middle child some of your precious tummy love. Take the Umm Al Sheif exit on Sheikh Zayed, drive all the way down (crossing the Spinneys to your left) towards Jumeirah Beach Road, and then take a left. 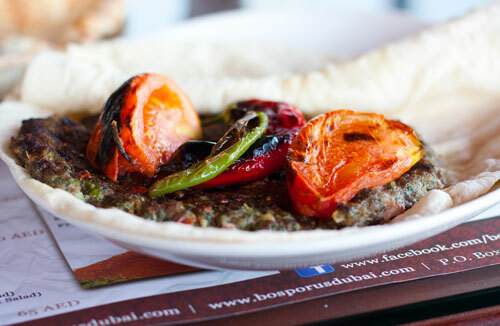 Bosporus will be on your right as you drive down Jumeirah Beach Road. ← Older: The Best Chinese Ginger Chicken I Have Ever Had. I feel exactly the same about Jumeirah – obviously can’t express it as lucidly or beautifully or as wittily as you! I have done almost each Juice centre and Shawarma joints on this beach road and we have a fabulous hidden gem – that we guard like a secret. However, it’s for fish lovers and from your posts I have this feeling that fish might not be your favourite pet! @5e8c32b20f4724711dd3c80c2633f364:disqus – where did you get that idea hun, I LOVVVVE fish. And I can bet all the curried shrimps in the world that you’re referring to Buqtair. So dang good, crispy crust, fleshy white innards, everything that fish heaven is made of. You read my mind by the way, I will be back to Bosporus for sheesha over the weekend! Thought I could share my comment on Twitter! Ohhhhhh!!! I have been in a food adventure rut (sticking with good ole reliables), but this makes me want to come out of the comfort food zone shell…Mmmmm grilled meat with rice! 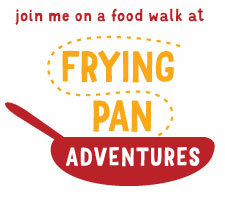 @didipaterno:disqus – you’d have loved this place! Try the doner kabab at Verona in your neighborhood, that’s one of those really decadent (even if slightly synthetic) meaty fixes. @fd0d8510454cacc084339586ac44b066:disqus – would love to hear what you think of it once you do visit! Just found you site via C.J.’s. Congrats on the Food Story award! @64e917df4e6af6c03a214fbcda055ab6:disqus – thank you! that’s so strange though, I was there about the same time on a Sunday, and they served me donor. Strange. But that said, Tehran is on my list of must-try’s! Did you write this review? @twitter-59809099:disqus – tell me what you think when you try it Dee! 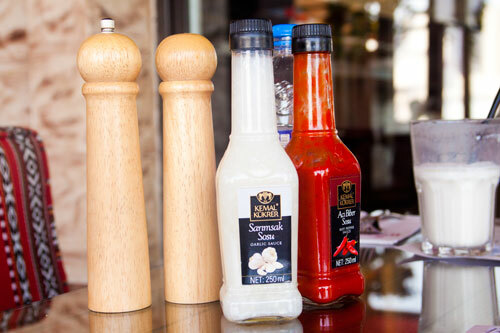 Has anyone been lucky like me and tasted the Doner Kebab and other amazing food over at Flames Grills and Curry. OMG if you have not then I recommend you get to try it very soon, it’s absolutely amazing. Best restaurant in Dubai by far!!! comfort of your own home and on your own schedule. There are two possible arrangements with the package unit.